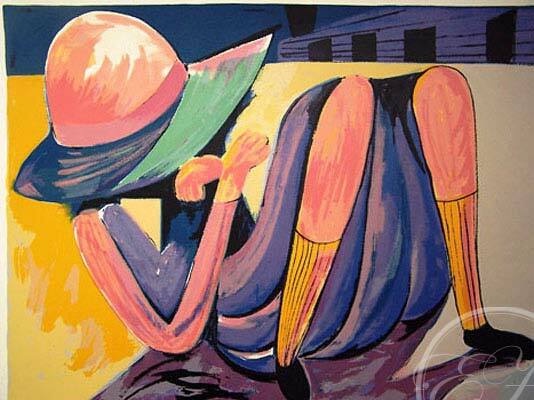 Charles Blackman Silkscreen, “Hiding School Girl” edition 75, sheet size 750x1050mm on Archers 270gsm paper. There was a Folio of 5 works in this series – Hiding School Girl, School Girl Jumping, There Was, Shadow, Fallen School Girl. Etching House from time to time buys back some of these works when there available.